Improving learning and collaboration by honing group and individual thinking processes. We define “Cultures of Thinking” (CoT) as places where a group’s collective as well as individual thinking is valued, visible, and actively promoted as part of the regular, day-to-day experience of all group members. 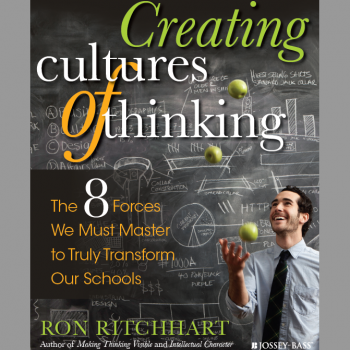 Drawing on previous research by Ron Ritchhart (2002), the CoT project focuses teachers’ attention on the eight cultural forces present in every group learning situation, which act as shapers of the group’s cultural dynamic and consist of language, time, environment, opportunities, routines, modeling, interactions, and expectations. 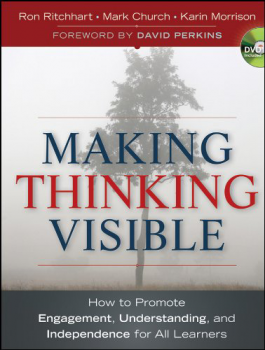 As teachers strive to create cultures of thinking in their classrooms, they can use a variety of methods, including making time for thinking, developing and using a language of thinking, making the classroom environment rich with the documents of thinking processes, and making their own thinking visible, to name a few. In 2005, we began our work at Bialik College by working intensively with two focus groups of eight teachers from various K-12 grade levels and subjects to create a rich professional culture of thinking for teachers. In order to better understand changes in teachers’ and students’ attitudes and practices as thinking becomes more visible in the school and classroom environments, we developed measures of school and classroom thoughtfulness to capture these changes, conducted case studies of teachers, and looked at how students’ understanding of the area of thinking developed. Our research to date has shown that students recognize CoT classrooms as being more focused on thinking, learning, and understanding, and more likely to be collaborative in nature than those of teachers not in the project.